Your dream wedding awaits you at Whispering Creek Ranch & Chapel. Our scenic, countryside wedding venue in Granbury, TX, is the perfect place to host your wedding ceremony and reception. Situated on a ranch in Texas, it features a private chapel, outdoor wedding gazebo, reception hall, horse and carriage service and much more, all to guarantee a beautiful and unforgettable day. Book our venue for your upcoming wedding or other special occasions. Whispering Creek Ranch & Chapel is an event venue in Granbury, Texas, for weddings, banquets, corporate functions, family reunions, retreats, and quinceañeras. We have been hosting events for over 20 years and love what we do. When you're planning a wedding or other special event, let us help. 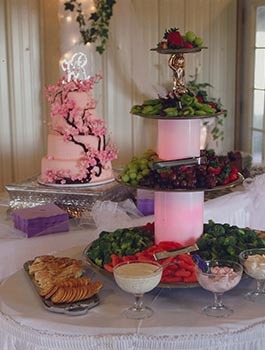 We can provide you with a full list of vendors, from caterers to photographers, and assist with any other preparations. Reach out to us to learn more. Planning a wedding is a stressful process. We understand the hassle involved in selecting a venue. It just makes sense to recite your vows here, under the outdoor wedding gazebo on this scenic prairie land. This is the ideal location for you and your future spouse to be united as one. Even if you’re not getting married, we welcome all special events with open arms. Whether you’re planning a family reunion or a graduation party, we’re the venue for you. 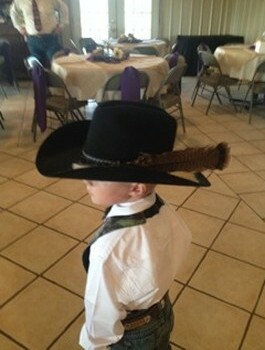 Our ranch boasts an expansive reception hall that can accommodate up to 300 guests. It’s perfect for any celebration you might be planning. When you’re planning your retreat, you can count on us to host your event. We have the knowledge and expertise to ensure your guests enjoy themselves and that their time here is memorable. Contact us for availability and to book our wedding venue. We are located in Granbury, Texas. For your privacy and our undivided attention, we show by appointment only. Arlington, Fort Worth, Glen Rose, Stephenville, Burleson, Cleburne, Joshua, Weatherford, Godley and surrounding areas. Only Minutes from Pecan Plantation and De Cordoba Bend. 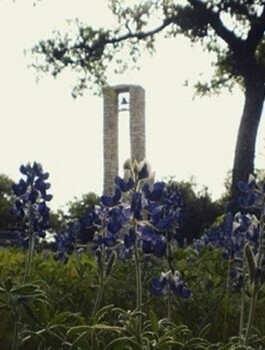 We are located in Historical Granbury, southwest of Fort Worth, TX. Please do not solely rely on Google for our location because it doesn't do well in the countryside.